As intrigued as I am by what 2K's doing with X-COM—and I freely admit I'm in the minority there—the publisher's recent move to delay that game another year, and release a more traditional turn-based strategy reboot meantime, reek of please-everyone panic. Fans of the original can read between the lines and see an expression of low confidence in the first-person perspective game that has everyone up in arms. The creator of X-COM (UFO overseas) thinks so too. 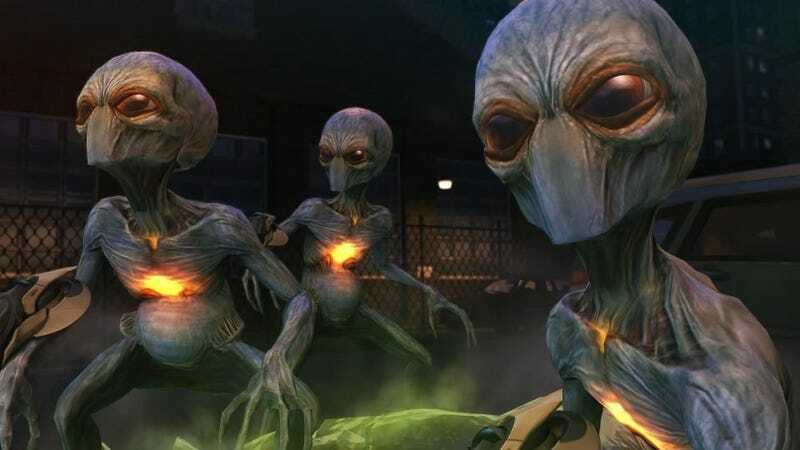 "When from out of the blue we heard that Firaxis are doing a turn-based version, it's as if 2K are trying to cover all their bets," Julian Gollop, who created X-COM more than 18 years ago for MicroProse, told Edge Online. Saying that most publishers view turn-based gaming as "a completely niche market and not worth their attention," Gollop doubts XCOM: Enemy Unknown by Firaxis will get the kind of resources to become something really different. "I'm guessing it isn't a hugely big-budget title, so I think they'll be sticking to fairly safe ground. I don't think there will be any technical innovations in their game engine," he said. Gollop said the game could benefit from "procedurally generated environments, a more sophisticated destruction model for the terrain," and more advanced AI but "I suspect they're probably not going down that route, judging by the screenshots." Gollop thinks a 3D, third-person camera in a game such as X-COM will be "disorientating" to players of turn-based games and says he specifically chose an isometric, single perspective view for X-COM to keep that game focused on strategy, and also because it was more efficient visual design to build a level from a single perspective. As to the first-person XCOM, the one delayed now to 2013, Gollop does not think much of it either. "I thought it was a great shame because it was going down the same route as some of the previous X-COM sequels, like Interceptor and Enforcer—in other words, going completely against turn-based combat," he said. Those two games were critically panned for shallow gameplay and, in Interceptor's case, campy themes that marked a huge departure from the X-COM canon that has acquired such a devoted following. Gollop has much more to say about X-COM, both with and without a hyphen, in the interview with Edge.